This looks simple and hearty dear.. YUMM.. 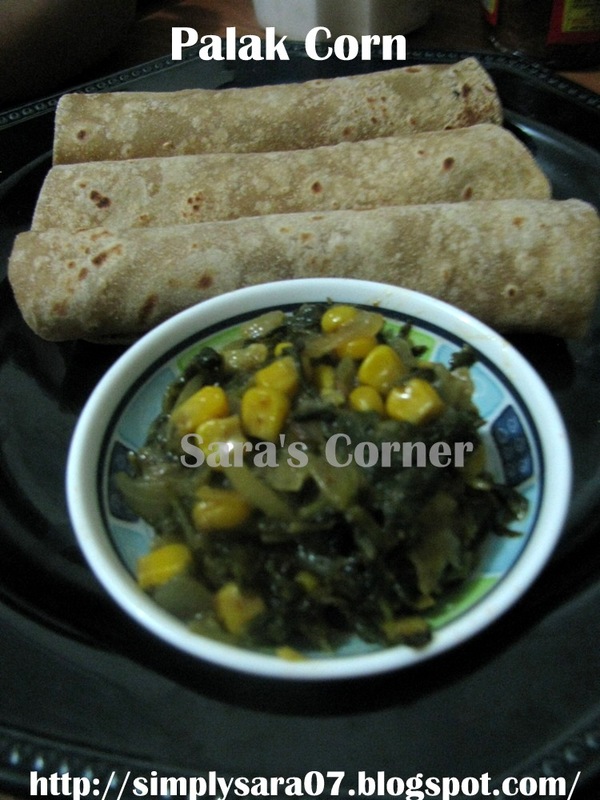 Very healthy corn palak, looks really inviting..
That is an intersting side dish Sara...Love the yellow and green color.. This sounds yummy,healthy n full of flavours.